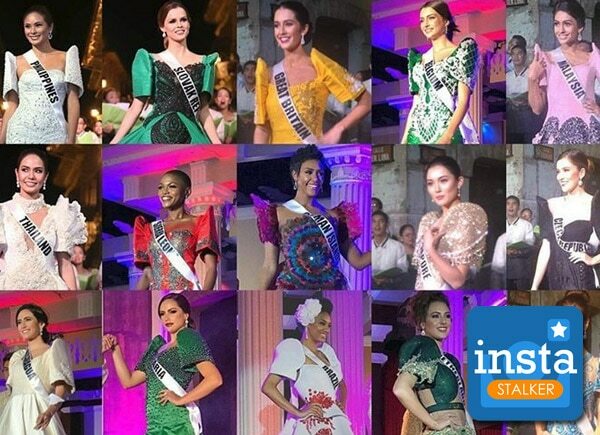 On January 15, some of the Miss Universe candidates wore the Philippine national costume during a fashion show in Calle Crisologo in Vigan, Ilocos Norte. On January 15, some of the Miss Universe candidates wore the Philippine national costume during a fashion show in Calle Crisologo in Vigan, Ilocos Sur. Much talked about online are candidates from Venezuela (Mariam Habach), Thailand (Chalita Suansane) and the Philippines (Maxine Medina).